The TL 360 flush mount or wall sconce by Tech Lighting features circular glass mounted flish to a base. 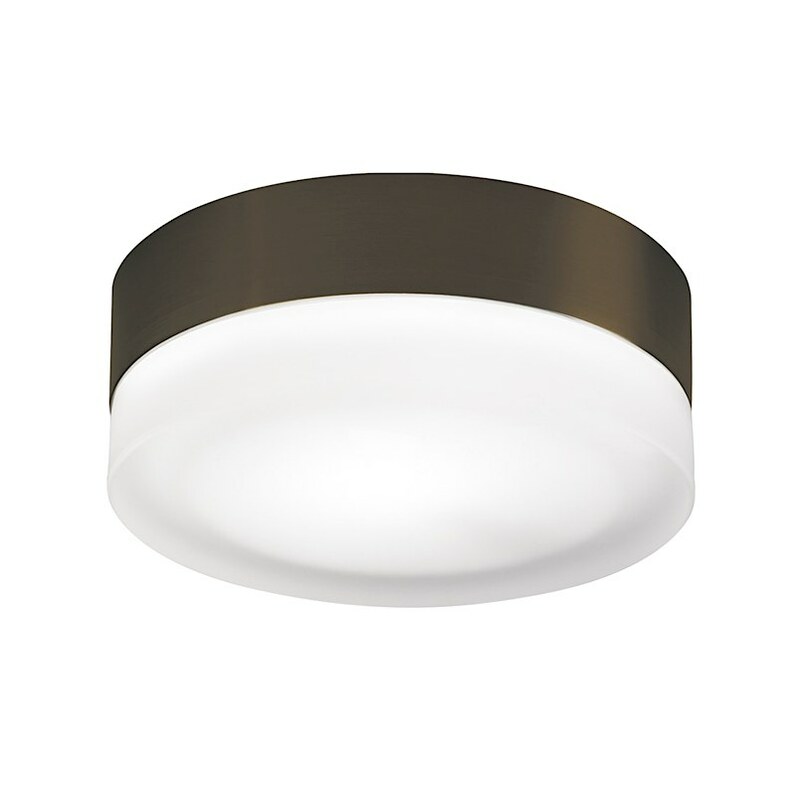 This is a great choice to iluminate bathrooms, hallways or outdoor areas. Provides general light. Available in two lamp configurations; incandescent and fluorescent. Incandescent includes two 120 volt, 40 watt G9 base halogen lamps; fluorescent includes two 13 watt 2GX7 base twin tube lamps and electronic ballast. Incandescent version dimmable with a standard incandescent dimmer. Wet location rated.